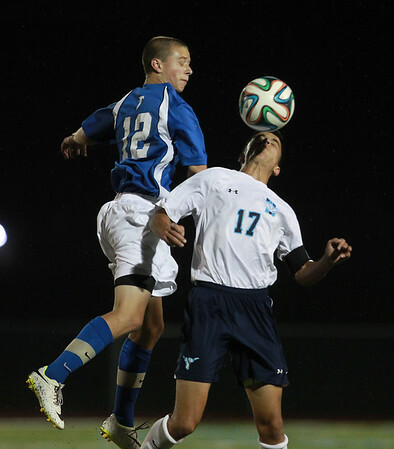 Peabody senior Joao Correia (17) battles for a 50/50 header with Danvers sophomore Spencer Persson (12) during the first half of play on Tuesday evening. DAVID LE/Staff photo. 9/30/14.